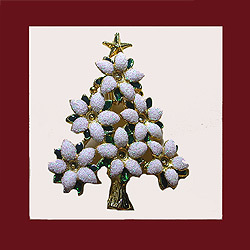 Christmas is a special time of the year for many. 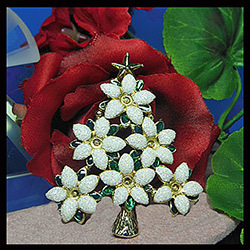 Christmas trees, trimmed with beautiful decorations, twinkling lights and holiday parties reflect the joy of the season. 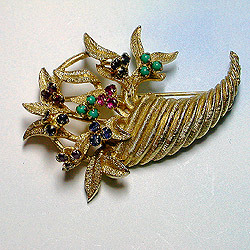 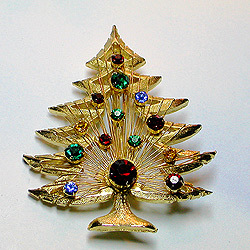 This is the time to add a vintage jewelry Christmas treasure to your party dress, winter coat, hat, or even an evening purse. 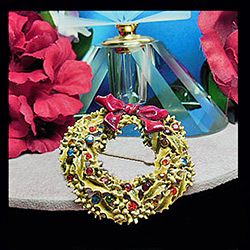 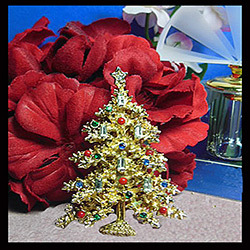 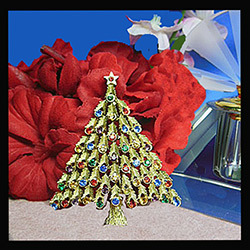 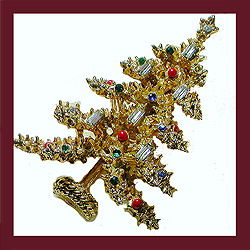 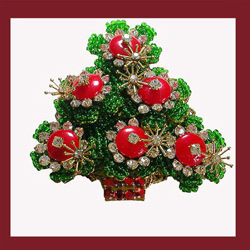 What could be more festive than adding a sparkling Christmas tree brooch, Santa�s sleigh or holiday wreath pin for just the right "finishing touch!" 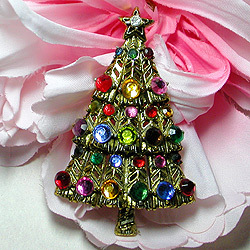 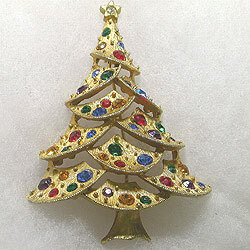 Below are some of my favorite Christmas jewelry pieces that I have carefully selected for your consideration. 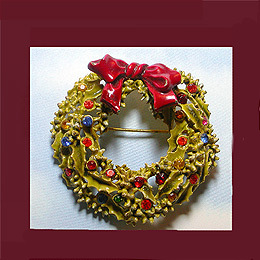 Enjoy your Christmas shopping experience here at Let�s Get Vintage and please do remember you have the option of Layaway on any item in my shop.